Hotel Guest Cards Custom Printed PVC 1,000 pack shrink wrapped in 200's Printed 4 colors 2 sides.. Custom RFID 1k Hotel Key Cards 1,000 pack shrink in 200's Printed 4 colors 2 sides CR80 PVC Cre.. Custom Mifare RFID 1k Hotel Key Cards 1,000 packed in 200's Printed 4 colors 2 sides CR80 PVC C..
Hotel Key Cards Magstripe Custom Printed PVC 1,000 pack shrink wrapped in 200's Printed 4 colors.. 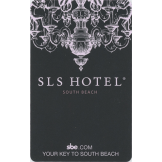 Custom SAFLOK RFID 1k Hotel Key Cards 1,000 packed in 200's Printed 4 colors 2 sides CR80 PVC C.. Custom Mifare RFID Ultralight Vingcard Hotel Key Cards 500 pack Printed 4 colors 2 sides CR80 P..